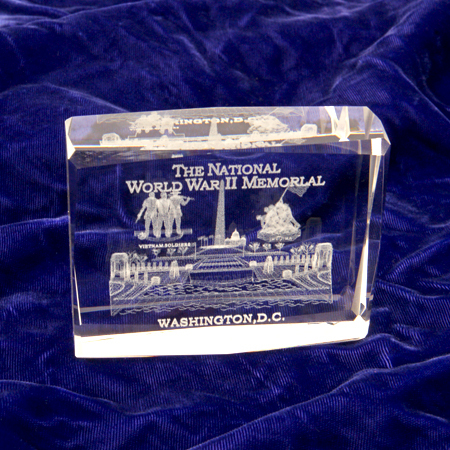 This paperweight features The National World War II Memorial on the National Mall in Washington, DC. The 175 million dollar tribute to our brave men and women who fought in WWII is a sight to behold. Inside the glass the memorial is depicted along with the Washington Monument and United States Capitol. Above this scene is the Iwo Jima Memorial in Arlington, Virginia and a depiction of three Vietnam soldiers. 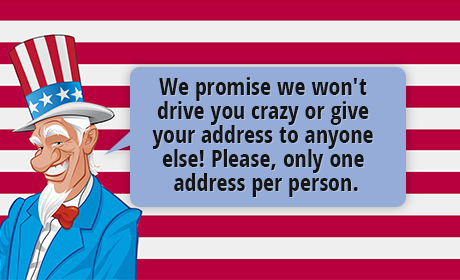 Weighs 1 lb 8 ounces and come in a gift box with the Great Seal of the United States in silver on the cover.